Scavenger Hunt Ideas – You’ve been intensely planning a social gathering and want it to be an event to remember, scavenger hunts are a best way to celebrate your event. 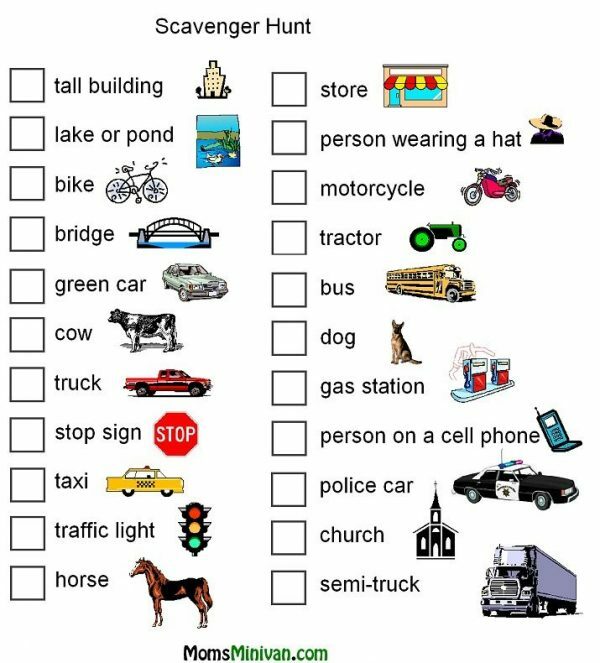 A scavenger hunt is a group game in which the organizers make a list defining specific items or anything, which the hunters seek to gather or complete all items on the list. This game can be played with individuals vying or with groupscollaborating together to finish everything first. It’s suitable for all ages, and the whole item is usually low-budget and enjoyable to put together. We have a lot of scavenger hunt ideas to choose from, keep reading! The classic scavenger hunt is where folks see a task list at the start and then start to move around. During their exploration they find items and task opportunities in real life and can fulfillsome of them. What makes it hard but fun is the fact that items are hidden and hunter work silent to keep their finds from opposing players’ eyes. Each group needs a territory. This can be as easy as which side of the street for each team. 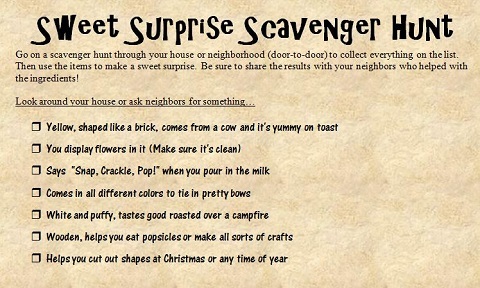 A neighborhood scavenger hunt is a best way to get the children or adults outside, doing something fun and sporty. You have to remember that the players should feel comfortable and safe about the locations they are want to visit to look for the specific items on the list. 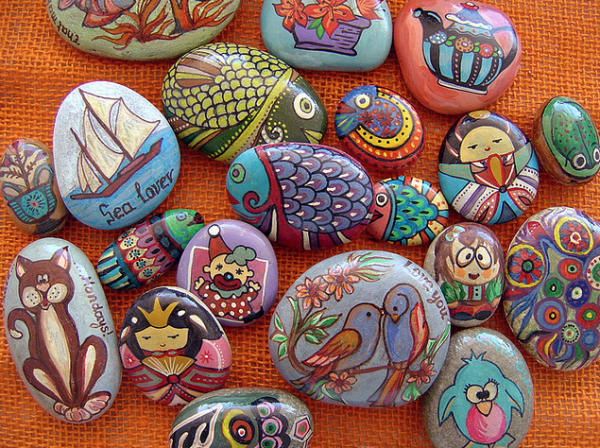 Definitely, the items are all things someone should be able to find in any neighborhood or park. If you’re in a big city, start at home and play while going to a local park. 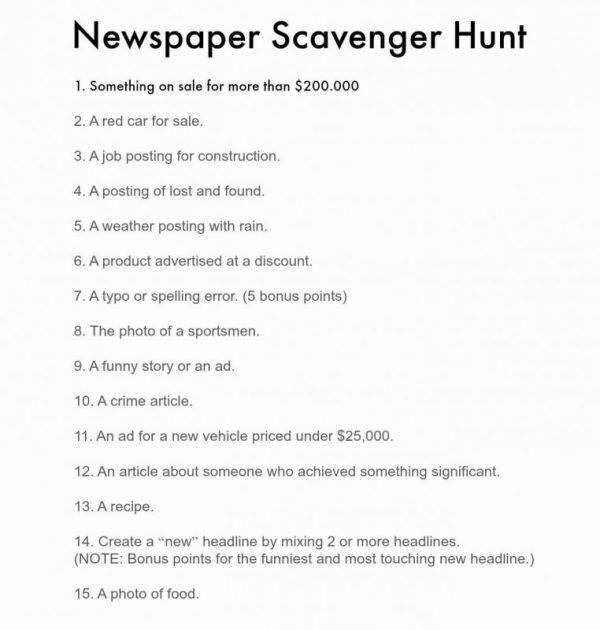 If you want an indoor hunting activity, a newspaper scavenger hunt is a best choice. For this newspaper scavenger hunt, you will examine through newspapers to find everything on the list. Actually, you can plan this individually or if there are more people, make groups. It’s a best game for a Sunday afternoon. It’s a super easy game, but involves the whole family, small or big. Additionally, it’s good for enhancing reading and cutting skills if your little ones are still young.The player or team who finds all the things on the list wins the game. It’s football season! 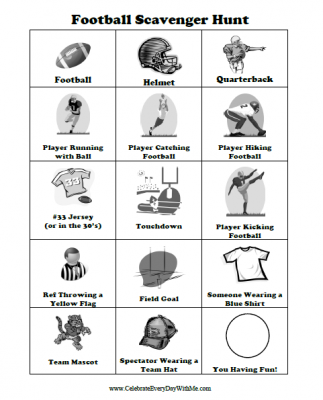 Why not make whoopee by using this football scavenger hunt idea to organize a game that’s great for players of any age. 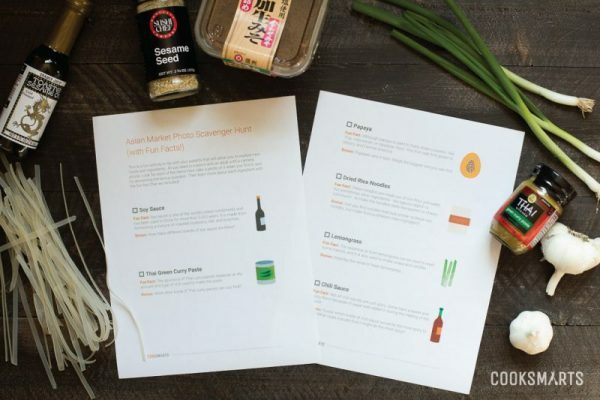 Yes, a scavenger hunt doesn’t have to be an all-day event. This is a great way to break up the boring day. Give each group a copy of the list of football teams. Explain that their duty is to dress up like as many different teams as they can and take photos of each one. It’s so simple! It’s one of the most pleasant scavenger hunt ideas and especially if you love animals, then you will love animal safari inspired activity. Undoubtedly, the animal safari scavenger hunt is so easy. Folks have a blast finding for animals during the safari hunt. 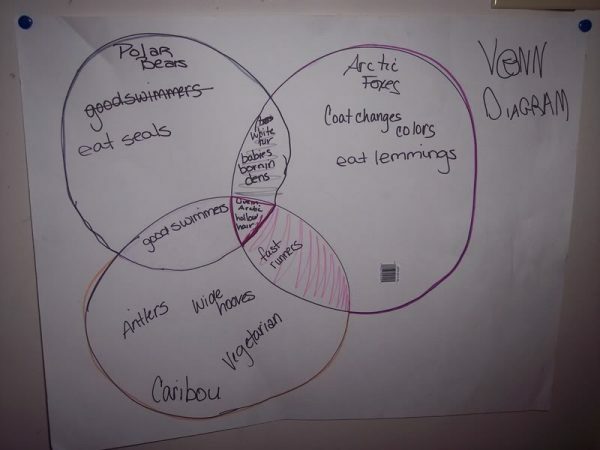 Each animal they find will have a fun fact and a hint to where they can find the next animal. No expensive paper is needed, but the thicker paper makes the hunt more enjoyable and durable. This animal safari scavenger hunt is ideal for a party or birthday celebration! Whenever planning your next evening scavenger hunt, thin about a glow in the dark scavenger hunt. This is one of the best scavenger hunt games so far, simply because it is so flexible. You can take advantage it for indoors, parties, and a ton of other activities. All you need to do is paint your items with glow in the dark paint, which is available in craft stores. All you have to do is make a new key and hints. 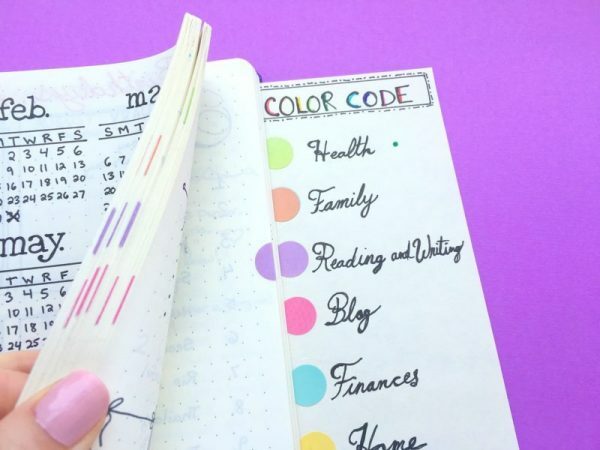 Listen, scavenger hunts aren’t just for children! 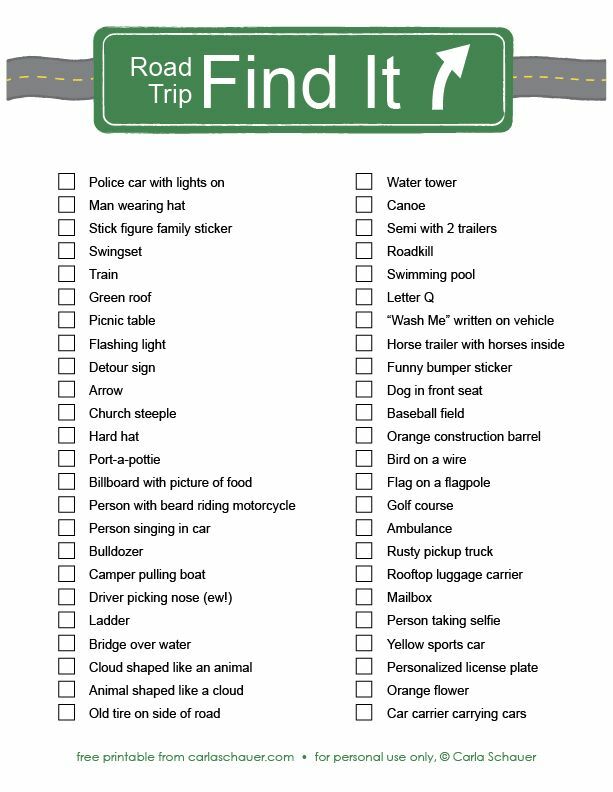 No matter if you’re driving across city or across the country, a travel scavenger hunt is a best way to pass the time. Travel scavenger lists can be a best way to see and find a new destination or even to explore new cultures of a location. Scavenger hunts are a best way to make yourself try new things in life, while away by inventing fun activities or intensely to push yourself to interact with local cultures. Everyone today loves audio scavenger hunts! Essentially, the hunters are given a code. Then they enter the code into the box, it will play an audio clip that gives them a hint as to where they should go next. Hunters need to bring an audio recording device to listen for and record particular sounds. 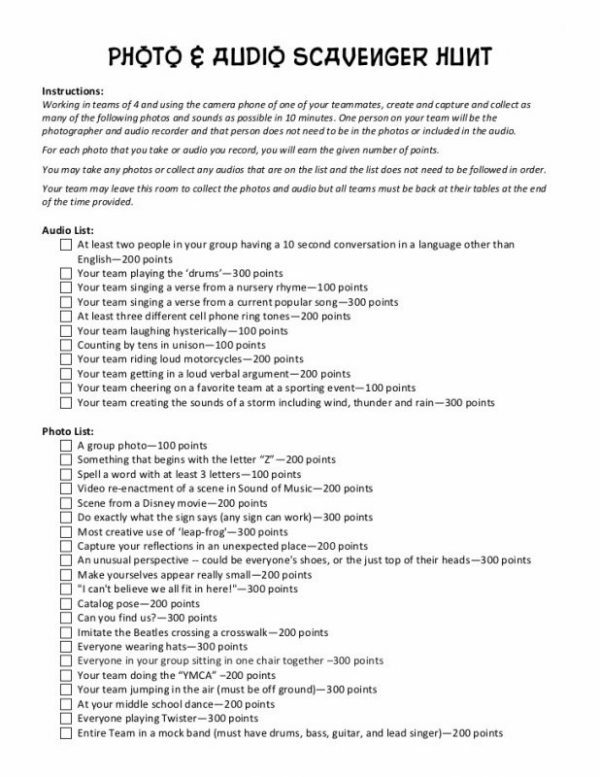 The scores are calculated based upon how many sounds the players checked off the list. This is aninsane, clever way to involve your kids in your shopping regimen and keep them amused. This supermarket scavenger hunt will help your kidsfind new ways to eat fruits and veggies and help you learn more about what appeals to them. Considering the number of items and difficulties, set a time limit to complete the hunt. No item should be buying, so don’t take any cart, as they should only need a pen and paper to collect the information with. Undoubtedly, this generation loves to take selfies! 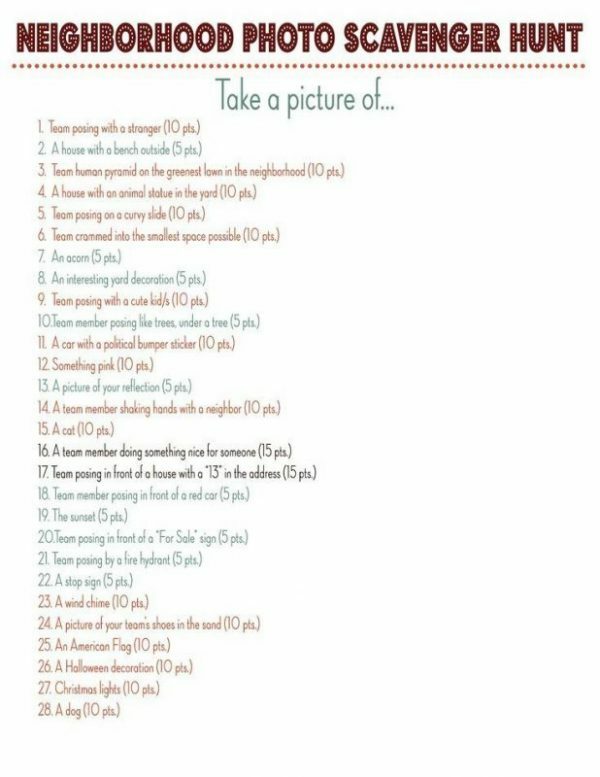 Take your selfie taking obsession to a high level with something known as a selfie scavenger hunt and would make the great party theme. You can do that at the mall, indoor, outdoor, or even do a vacation version. Hunters to get through the list wins, or whoever has the most checked of the list. 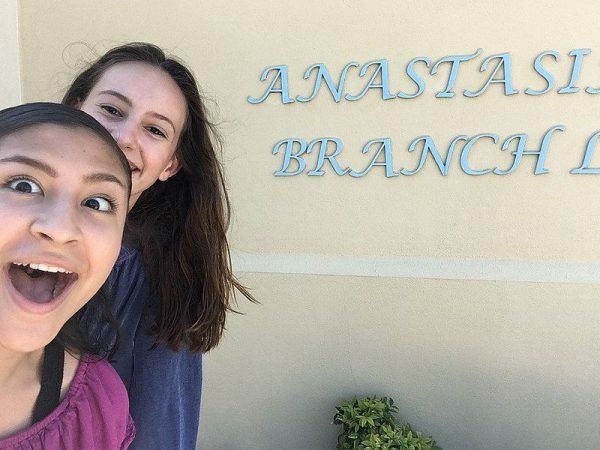 Definitely, scavenger hunts can really help make day-to-day things a bit more fun by involving an extra element of enthusiasm and competitiveness. 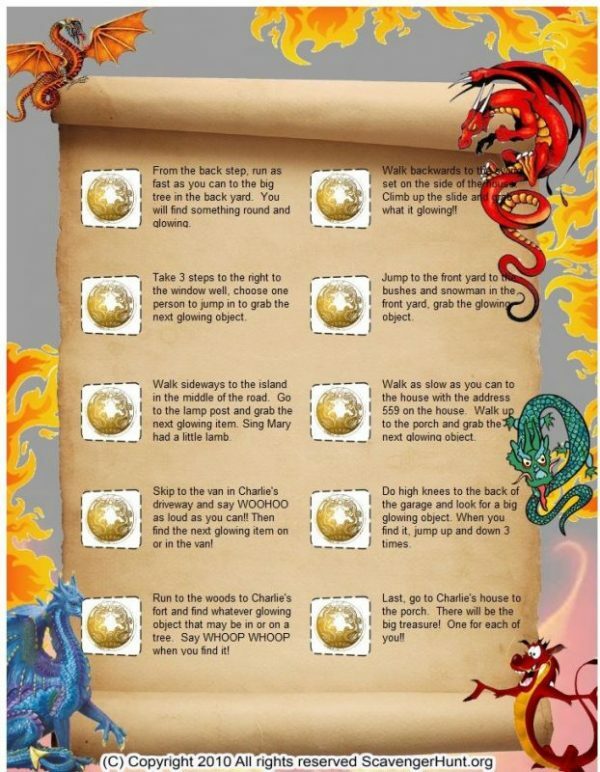 These scavenger hunt ideas mentioned above should give you an idea of the many different methods in which the game can be played.